Spring is here and with the warmer weather more skin is exposed. What is exposed needs to look as healthy as possible. This Face Brush set is perfect for a healthy looking face. This set comes with 2 brushes, one for wet and one for dry. The wet brush, made of nylon bristles and plastic, is good for washing and deep cleaning your face. 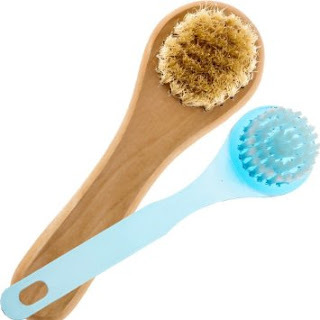 The dry brush, made of natural boar bristles and wood handle, is to exfoliate and stimulate your skin. Healthy clean skin is always younger looking. Along with the warm weather and more skin being exposed come sandals and flip flops. Nail fungus is not attractive and keeps many people from wearing spring and summer shoes. 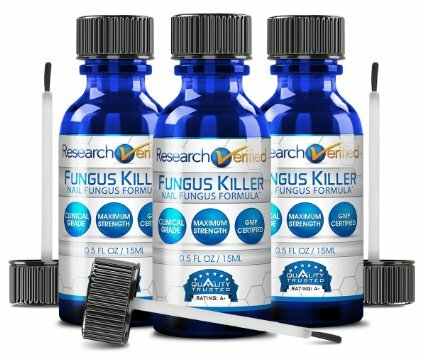 Research Verified Nail Fungus Killer just may be the answer. This is an all natural product and I feel a lot better about using something natural opposed to using harsh chemicals with all the side effects. Prescription nail fungus medicines are hard on your liver as well as other organs. Research Verified Nail Fungus Killer being all natural has none of those side effects, just kills the fungus. Good bye nail fungus, hello sandals!